I think the best way to make breathing effortless is to swim with a snorkel. Why go through all those tedious breathing skills when I can use this easy way? TI Coach Suzanne Atkinson replied: TI coaches do these drills all the time — partly for refinement and improvement, but also because they’re FUN and lead us to new insights. There is no tedium, there is enjoyment and excitement … that’s the main reason we do them. Try it, you just might >gasp< like it. This is not only a deliciously witty pun; it’s also a succinct statement of the wisdom that moves swimming from an activity directed at achieving utilitarian or bottom-line goals – swim a mile, swim a faster mile, burn calories, etc. – to something you do to live a richer, more rewarding life. Twenty years ago a TI workshopper suggested I read Zen in the Art of Archery by Eugen Herrigel. A single memorable sentence in that book started me on a altogether unexpected path: Zen archers don’t practice to shoot bullseyes; they practice for greater self-knowledge. Breathing exercises like these certainly make it easier to breathe. But they can also produce moments of transcendence — or, as Suzanne said, fun. Many of us do exercises like Nodding, Whale Eye and Hooked Whale even after our breathing has become comfortable and fairly seamless. 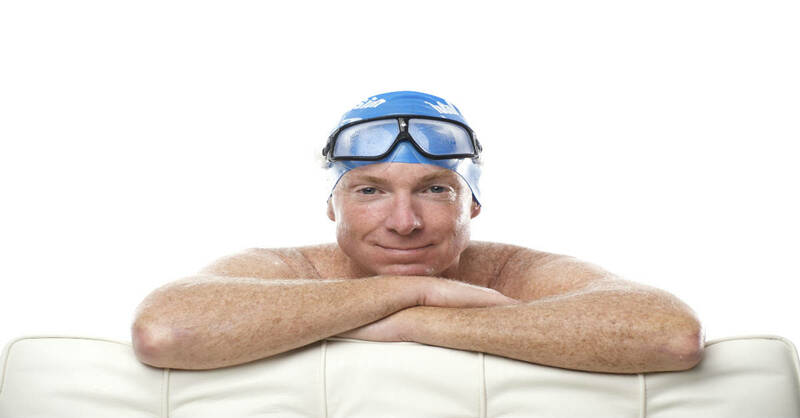 Sometimes we do them to gain deeper awareness of sensations that are easy to overlook in normal swimming. In other cases, just because we discovered it could be mesmerizing to study the underside of the surface while nodding. Have you ever ‘given yourself permission’ to do that? When ‘nodding you look to the side, but don’t actually breathe. Or to notice the shape of the bow wave flowing off the head while doing Whale Eye — and wonder what that revealed about drag or fluid dynamics. How does the water look as it flows past your goggles during a breath? I do exercises like this in pursuit of higher skill and more efficiency. I’m thrilled that, even after 47 years, swimming still offers endless opportunities for discovery and improvement. And not incidentally, tireless polishing of details other swimmers overlook has helped me finish ahead of countless rivals who are often younger, fitter and faster — but swim far less economically than I do. But in the end, my strongest motivation is the practicing with a sense of curiosity leads to keeps me healthy and leads to continuous improvements in skill. But the main reason I do it is that it produces moments of more intense happiness than anything else I do. Great images. Do you have one of what “hooked whale” looks like? I assume this is actually when one takes a breath. These feelings and observations sound so similar to what and how the great Ian Thorpe feels in and with the water. 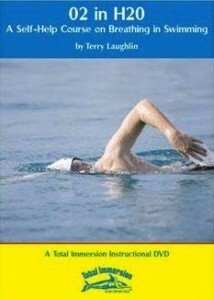 Heard 2 amazing interviews on radio with him this week with the technical aspects of his swimming. In conjunction with a book he has just released. He expressed his love of the feel of the water when he swims. I’m eager to hear and/or read Ian’s thoughts. I need help on breathing. I still don’t know if I am breathing correctly. I have watched the breathing video and have gone to a TI weekend school but still struggling. Do you expend all air threw your nose or mouth before clearing for air? I used to force all air out by my nose and now try to do it with my mouth but then water gets up my nose. What is the best way?